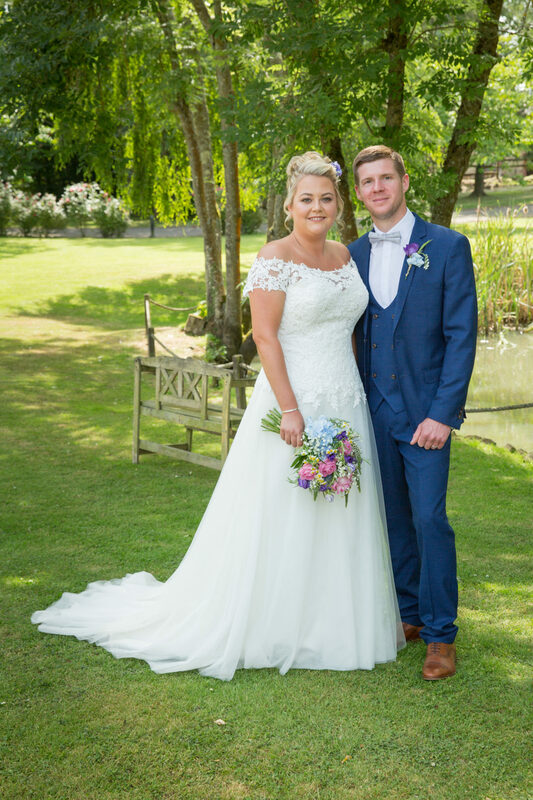 This blog features our real bride Lucy who was married on the 15th June 2018 at Crockstead Farm Hotel. She chose her beautiful gown from the Opulence Bridal Collection, Lucy didn’t want a completely strapless gown or a very full skirt so this dress just ticked all her boxes with its portrait neckline and cap sleeves, the bodice and cap sleeves were covered with dainty cotton lace appliqués and had a dropped waist. The soft flowing skirt was made up of several layers of delicate flowing tulle. 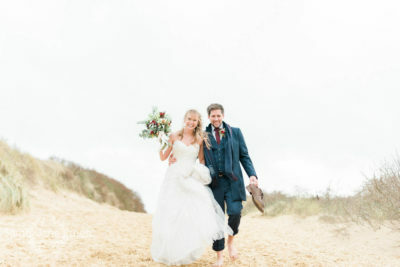 The bridegroom looks very dapper in his blue 3 piece Marc Darcey suit and bow tie. 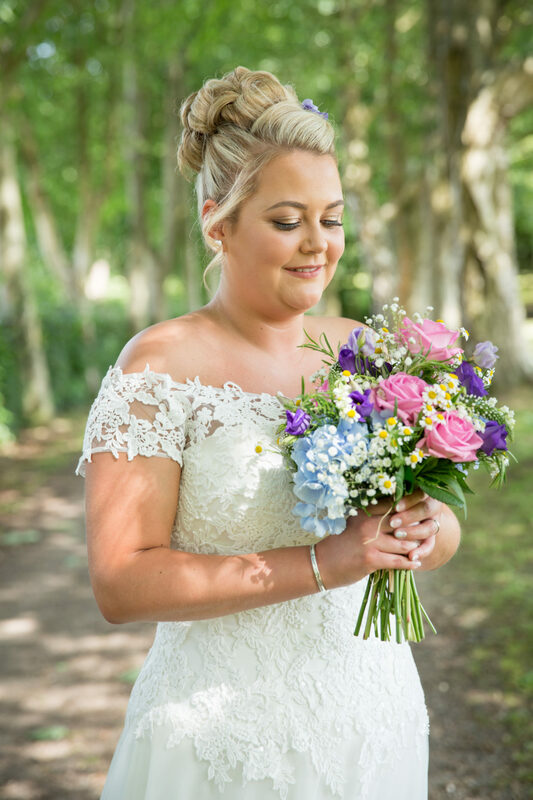 We love the beautiful pink, lilac and pale blue colour scheme with English country flowers, the florist got the mix of colours just right in the hand tied bouquet and Lucy wore some loose blooms pinned in her hair. 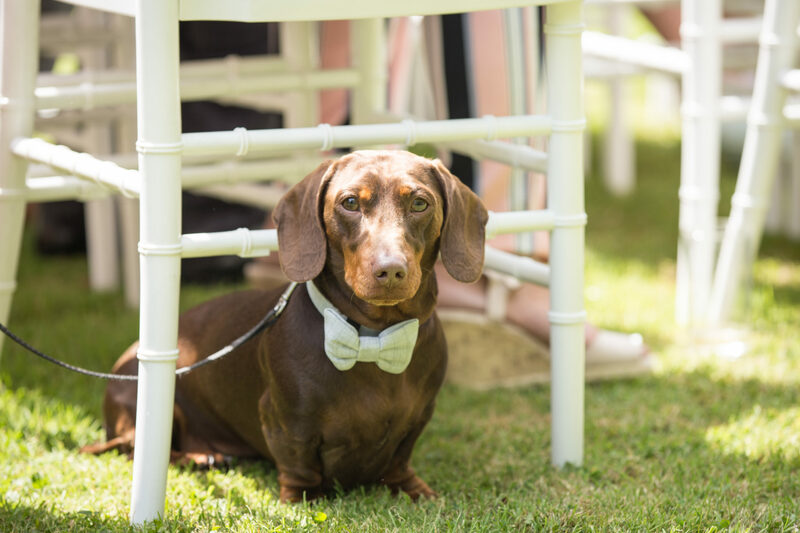 Lucy and I discovered that we are both dog lovers and I was thrilled to hear that they were including Stanley the Sausage dog at the wedding, Isn’t he just the cutest? he looks just the part in his bow tie. 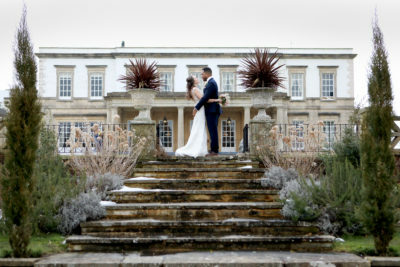 The bridal hair and make up were both perfect, Lucy looks a million dollars. Thanks to Monique at Belle en Soie for the make up and Tasha and Rachel at Saints Salon for the gorgeous updo. 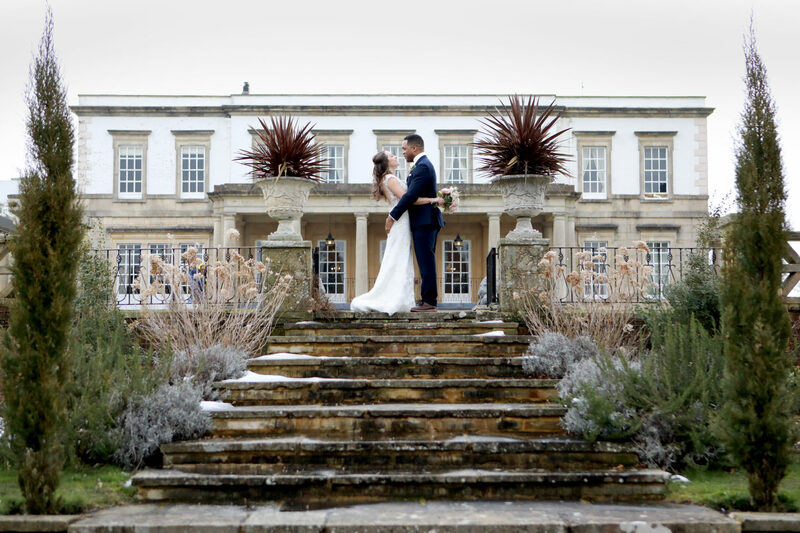 Thanks to Jason Fry for the fab photography, he had managed to capture just the right balance between formal and candid shots. 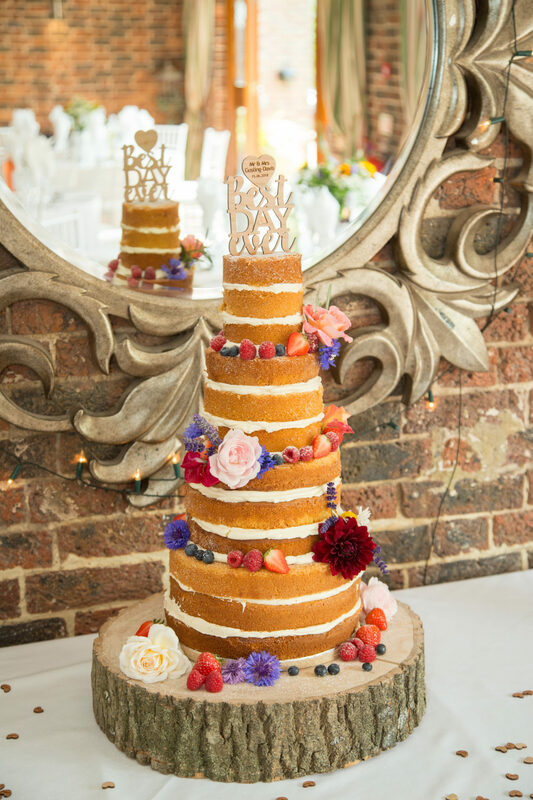 Additional features at the wedding were a hand made chalk board with the bride and grooms names and a beautiful naked cake by Emily’s mixing bowl. Both of these brought together the rustic country feel. 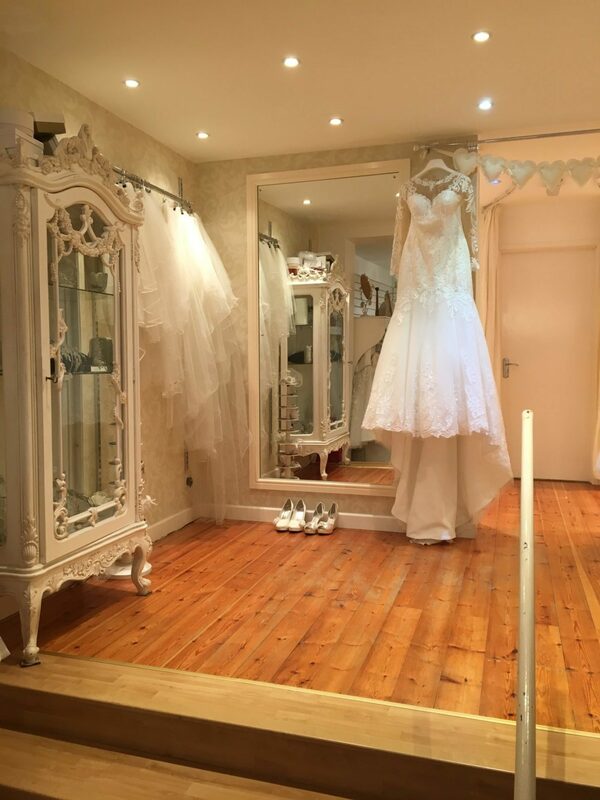 “I would like to say a huge thank-you to Helen at Bustles & Bows for helping me find my amazing wedding dress along with doing all the alterations to make it the perfect fit! 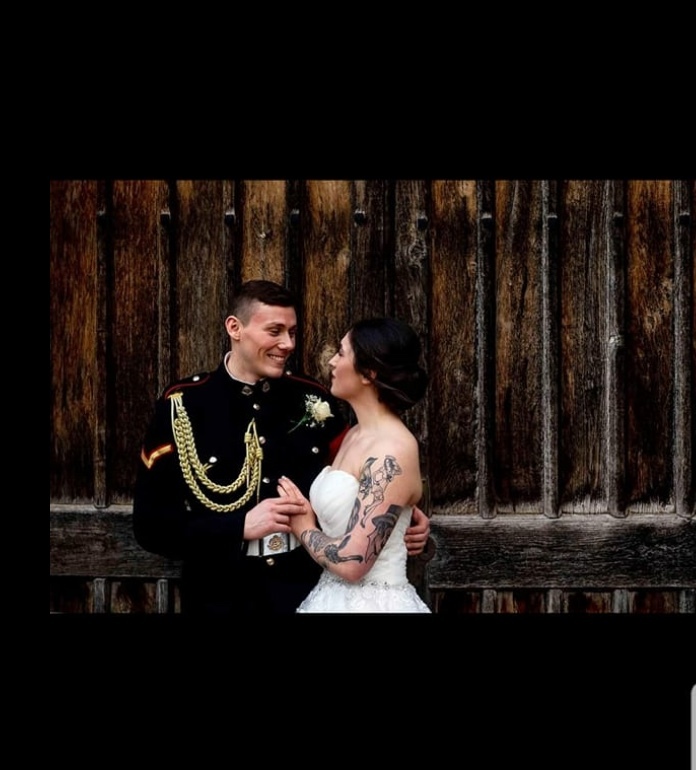 It was just right for our special day. Our wedding was held at Crockstead Farm, Halland where we were lucky enough to have a beautiful sunny day. 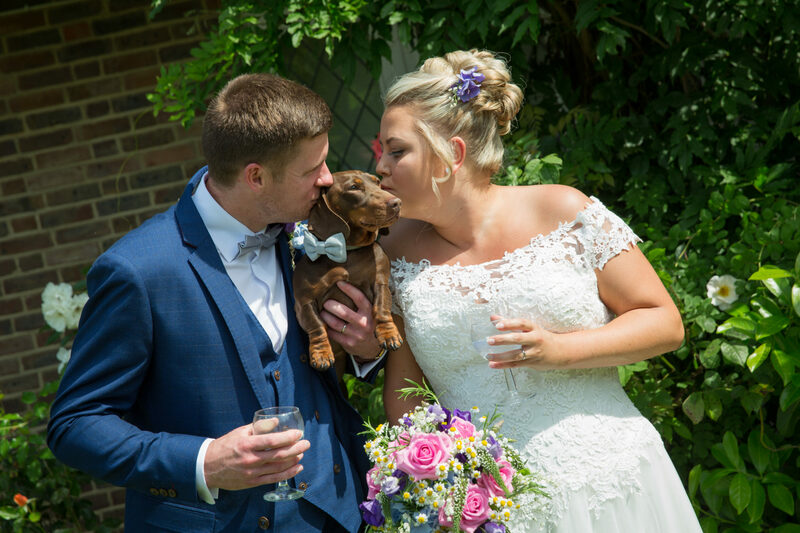 We also got to share our day with our lovely little sausage dog Stanley who is a big part of the family. Thank you so much for sharing your wedding details with us Lucy and congratulations to you and Thomas, with love from us all at Bustles and Bows.